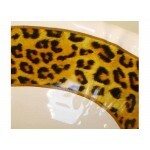 We know there are plenty of animal print lovers out there. 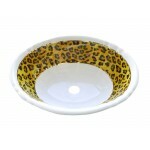 This leopard print glistens in a range of luscious shades of orange and golden-yellow with rich black spots. The gold bands create a striking contrast with the porcelain on the sink and the leopard fires to a bright and glossy finish. Shown on a petite Fluted Drop-in. Can be adapted to most fixtures. 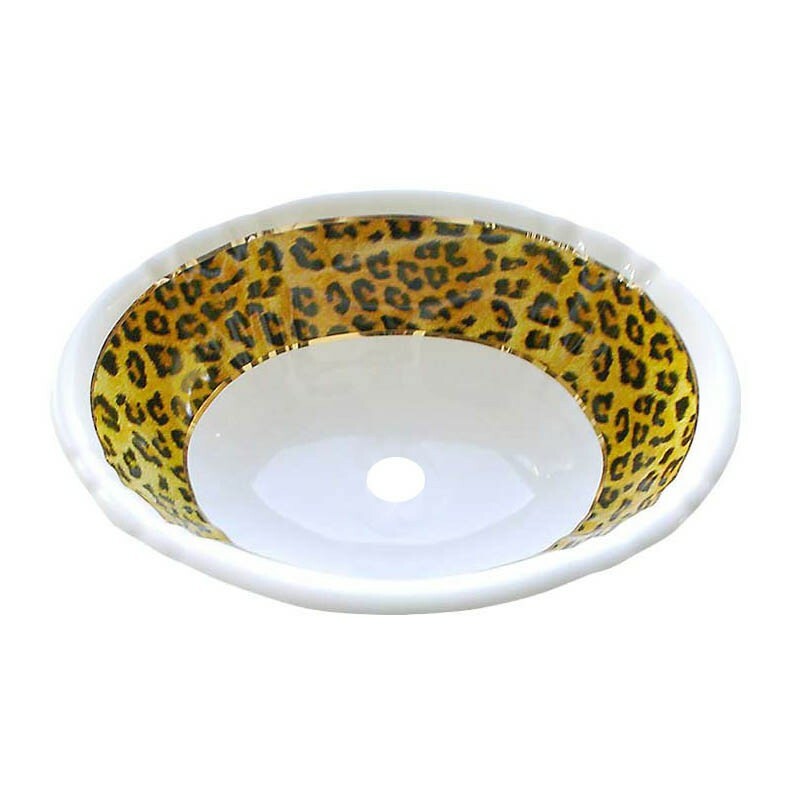 Visit our Fixture Choices page for options. Ships in 2-3 weeks.